Here are two facts. 1) MLB may struggle getting marquee players in the Home Run Derby this year, with many of the best sluggers and biggest names reportedly not interested. 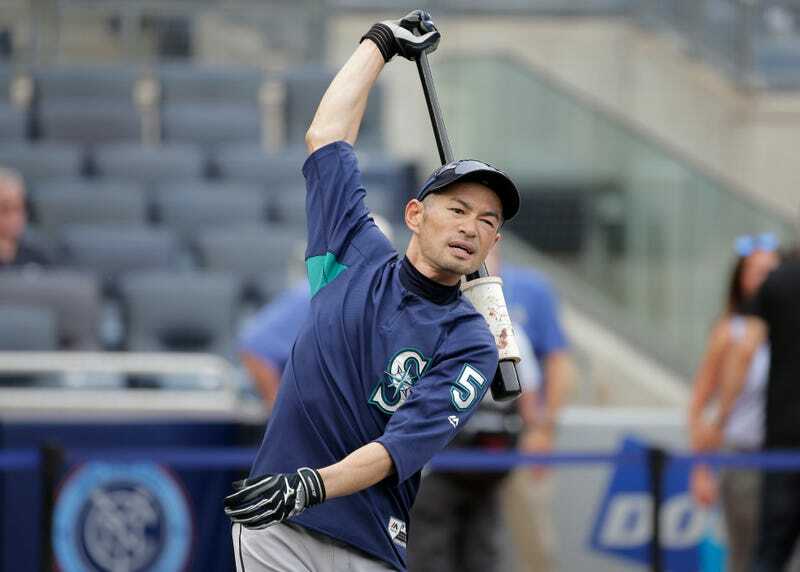 2) Ichiro Suzuki may not be an active player, but he’s not retired. Now a special assistant for the Mariners after “transitioning” in June, he’s still holding out hope that he can catch on somewhere next season. That means staying in shape. That means taking batting practice every day. That means BP dingers. Yes! Yes. Ichiro in the derby. Without Judge, Stanton, Trout, Betts, J.D. Martinez, and possibly even without Bryce Harper in the Home Run Derby in Washington next month, I cannot think of a participant I’d want to see more than Ichiro. It may have started as a joke among Mariners coaches, but Servais took the notion public in a radio appearance yesterday, and fans have responded with a full-throated social media campaign. Sure, Ichiro, 44, might not win the derby—though he was scheduled to be a participant in 2008 before he was forced to withdraw after a hand injury. But he’d definitely be the most fun to watch—and baseball is as a general rule better when he’s around. Sadly, it’s not going to happen. Speaking via a translator yesterday, Ichiro pooh-poohed Servais’s idea. Put Ichiro in the Home Run Derby against his will if necessary!